Jayton Baird worked for years to save enough for his powers to be Awakened, becoming a Senturian. Protectors of Terranum from the terrors on the West Side. 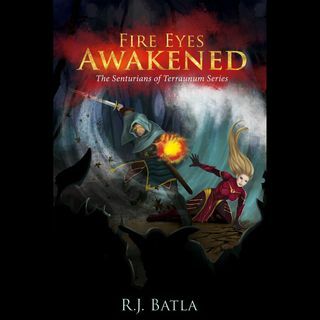 This power comes with a price - Jayton becomes the most powerful Senturian Awakened in a hundred years. And the most feared. With an invasion imminent and a death sentence over his head, Jayton is chosen to fight in a gladiator style tournament to prevent a potent weapon from falling into the hands of an enemy bent on conquest. A team of ... See More elite warriors escorts him on the trek fraught with danger. Can Jayton and his team survive long enough to complete his mission, or will the dark power burning inside consume him?